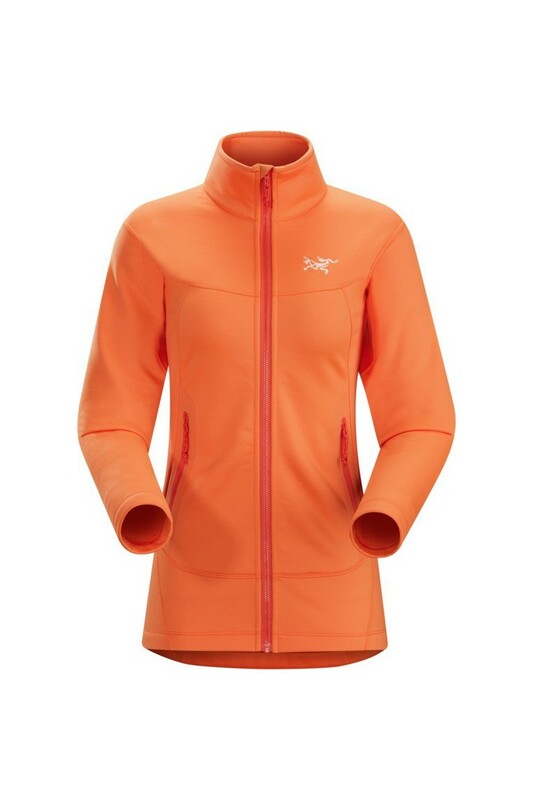 Women’s technical midlayer made from warm, durable, comfortable Cobblecomb™ fleece. The warmest fleece jacket in the Arc’teryx Essentials collection, the Arenite is an effective midlayer in cold conditions and functions as a standalone in cool, dry situations. The Cobblecomb™ fleece has a lofty backer that provides soft, effective insulation, and a durable twill face that resists pilling and reduces friction and binding under a shell. Combining the warmth and moisture wicking properties of polyester with the stretch performance of elastane fibers, Cobblecomb™ delivers effective thermal regulation with freedom of movement. Designing for versatility without compromising a minimalist results in a design that is focused on intended use, with features that are purpose-driven and lean. The taller collar has a snug, but not binding, fit that seals out drafts and layers comfortably under a shell. The full length front zipper makes it easy to get on and off, and can be unzipped with a single hand for immediate ventilation. Two hand pockets stow essentials. Purposeful design is an Arc’teryx commitment. Concentrating on athletic freedom and performance, the Arenite is specifically patterned for the female athlete in motion. 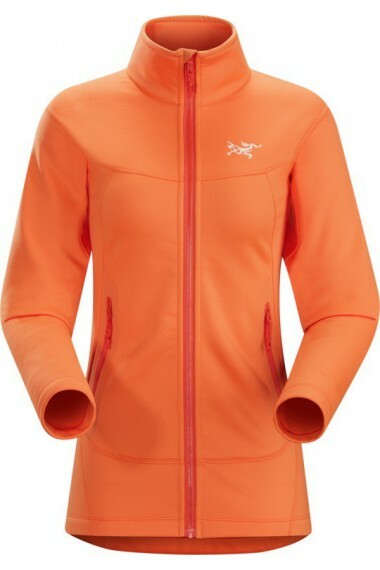 The Arc’teryx Athletic fit keeps the jacket close to the body in order to optimize breathability and moisture transfer. Articulation and anatomic patterning combine with gusseting under the arms to provide exceptional ergonomic performance. When worn under an Arc’teryx shell, the fit and articulation align to help create an entire system designed to move with the body.